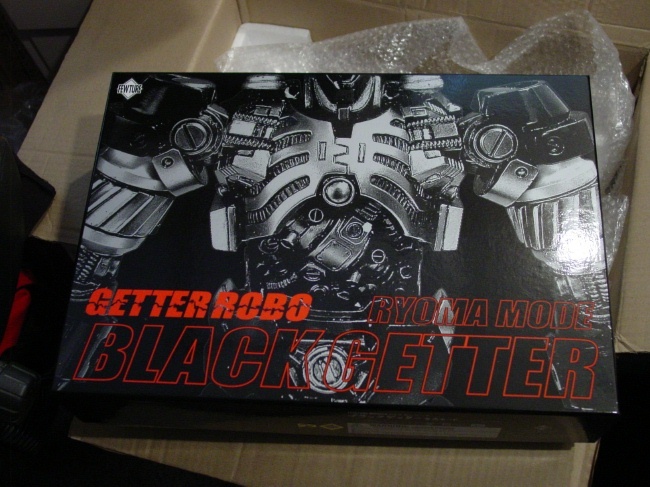 FEWTURE EX GOKIN BLACK GETTER RYOMA MODE!! 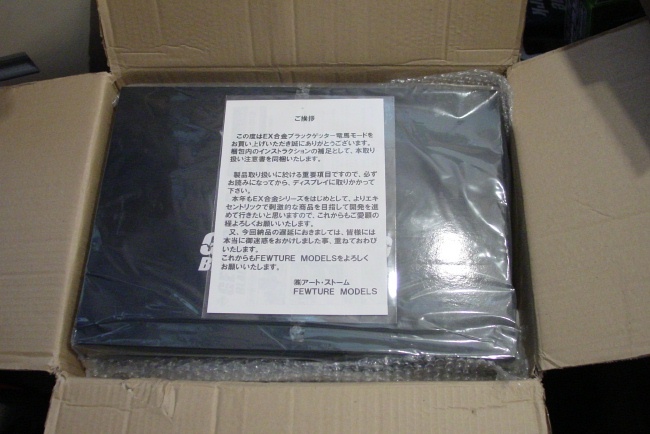 The packge came with a little message from Fewture Models and an instruction sheet with handling details of the delicate parts of the action figure. 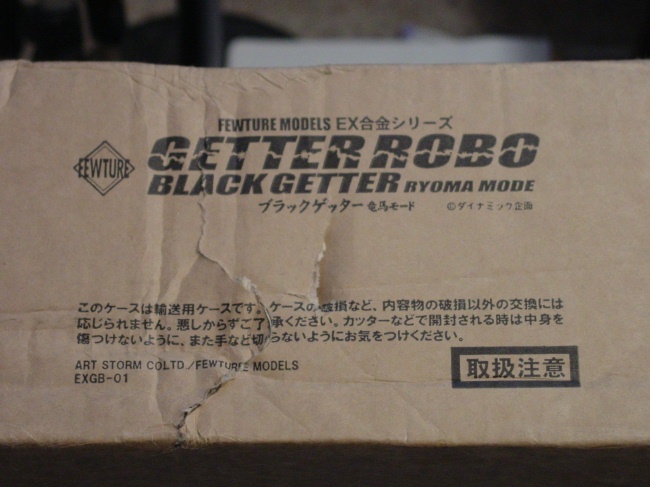 This is what the box looks like without its slip-cover. 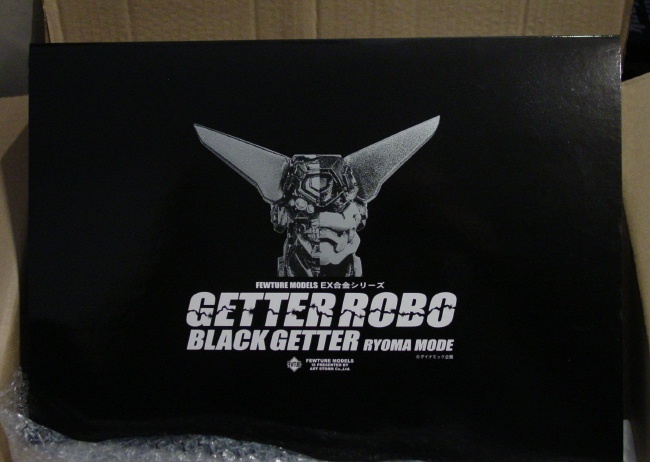 The slip-cover has the Getter Robo face on it....not shown here. 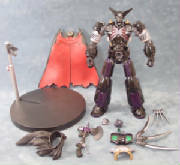 The image above is of the getter still in plastic of course. 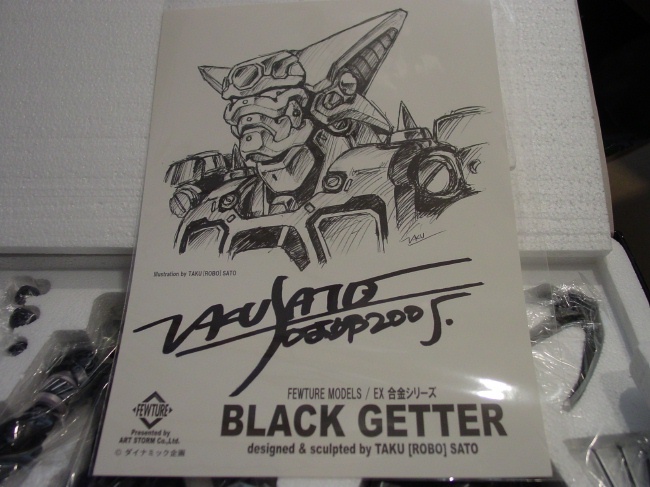 The one below is a lithograph signed by the sculpter and designer Taku (Robo) Sato himself. ( Yes! It's Real!) There was no information indicating a lot number for this piece i.e. 000?/000? This was just a preliminary check of the box and it's contents for now. 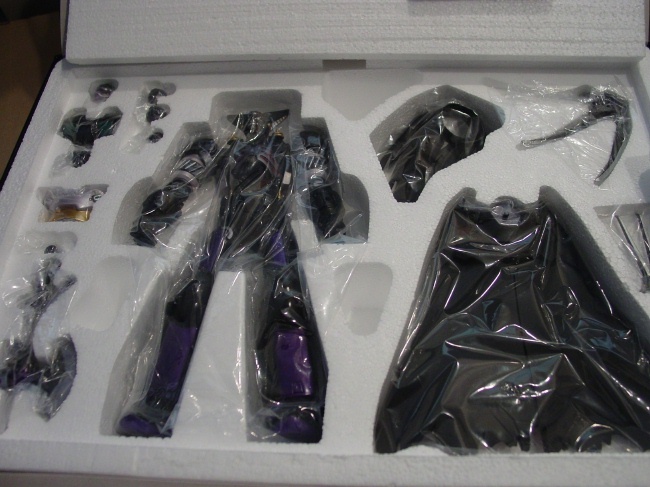 But I'll have some pictures and additional ipressions of the actual figure out of the box and play tested. We'll find out the weight, posability and other specs very soon too! Stay tuned for Impressions part 2! !